Sealed pack of posters in clear shrink wrap, although this is torn. All posters are on First Aid skills. Top poster is on unconscious casualty. Top Poster has "Poster 1" in top right corner and "First Aid Skills" in the top left corner. Below this top left is the title with instructions below that. 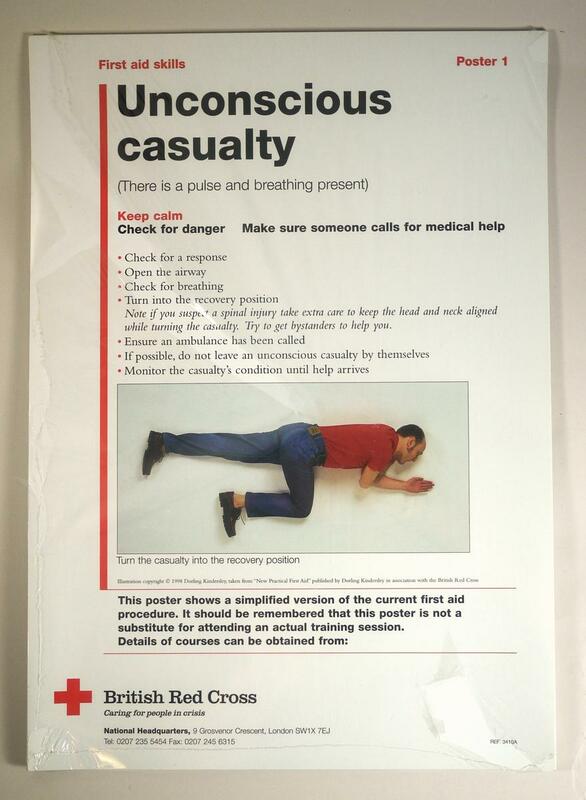 A photograph of a man in recovery position is low centre with more description below this under which are details of the British Red Cross.